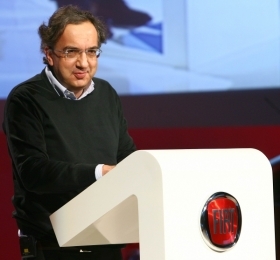 Marchionne will announce Fiat's five-year strategic plan next week. TURIN -- Russia, China and North America will play crucial roles in Fiat S.p.A. CEO Sergio Marchionne's vision for the Italian automaker. Marchionne will announce the company's five-year strategic plan on April 21. Marchionne already has promised that Fiat Group and Chrysler Group will sell a combined 5.5 million to 6 million vehicles by 2014. He says Chrysler, Dodge, Jeep and Ram will account for 2.8 million of the total. This means Fiat's seven brands (Abarth, Alfa Romeo, Ferrari, Fiat, Lancia, Maserati, Fiat Professional) will have to sell 2.7 million to 3.2 million units in 2014 to do their part. Last year, Fiat Group sold 2.3 million units while Chrysler Group sold 1.3 million. We will have to wait another seven days to find out the exact targets for Fiat. At that time we also should learn which Fiat products will be produced – and where. • Fiat will build the 500 minicar for North America and Brazil at a Chrysler plant in Mexico. Fiat also is likely to make some Alfa Romeo models in North America. Those cars will be distributed globally. In addition, Fiat may provide Chrysler a subcompact sedan for North America and offer a Fiat-badged small minivan in the market. Both cars would be produced in Europe. For more on what has been reported about the Fiat five-year plan as well as some insights on what we are likely to hear on April 21, check out the alphabetical by-brand, by-country roundup below. Fiat's sporty sub-brand, which produces high-performance variants of the Fiat 500 minicar and Punto subcompacts, is expected to extend its reach after having been put together with the Alfa Romeo and Maserati brands in late January. 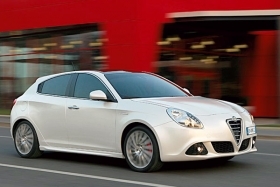 The Alfa Romeo Giulietta goes on sales in Europe next month. After a heated internal debate on whether to sell or keep Alfa Romeo, Fiat decided to try another relaunch of its money-losing sporty brand. Marchionne appointed Fiat Group Chief Technical Officer Harald J. Wester as Alfa CEO in late January. Wester's mission is to prepare a new, viable business case for Alfa. Alfa's future hinges on its ability to launch sought-after new models and create synergies with Chrysler. The automaker will produce the MiTo subcompact, Giulietta compact hatchback, which goes on sale in May in Europe, and a forthcoming Giulietta-based mid-sized crossover in Italy. The rest of the Alfa's new range is likely to be built in cooperation with Chrysler in North America. The cars would be exported to Europe and other global markets. Two of the models considered for North America are a mid-sized sedan and station wagon to replace the Europe-only 159 range. The cars would be built on the Compact Wide architecture, which is a U.S. version of the Fiat's Compact architecture that has been widened by 40mm (1.57 inches). The same architecture also is likely to underpin an Alfa large crossover. Alfa is still struggling to build a strong business case to make a large sedan to replace the discontinued Alfa 166. Alfa needs a large sedan to compete in the U.S. market, but that segment is nearly dead in Europe and does not appear to be ready for a rebound. If built, the new Alfa large sedan would be based on the Chrysler 300's rear-wheel-drive platform and manufactured in Chrysler's plant in Brampton, Ontario, Canada. The platform is used for the Chrysler 300, Dodge Charger and Dodge Challenger, which are all built in Brampton. It is still unclear whether Alfa will add a new compact, rear-drive roadster reminiscent of the Duetto. Neither Fiat nor Chrysler has an appropriate-sized rear-wheel-drive platform. Alfa had been looking to competitors to use such a platform under license. In August 2009, Fiat bought Carrozzeria Bertone's manufacturing plant in Grugliasco, which is just outside of Turin. The aim is to use the plant to produce up to 50,000 niche models a year for Fiat and Chrysler. Details remain scarce, but what is possible is that the plant, which is now called Officine Automobilistiche Grugliasco, will build a large coupe and large cabriolet based on the Chrysler 300's rear-drive platform. Brands that could get the cars include Chrysler, Lancia and possibly Maserati. Brazil, which passed Italy last year to become Fiat's No. 1 sales market and is poised to become the world's fourth-largest market overall this year, is expected to continue to be a cash cow for Fiat. The automaker will launch the new-generation Uno subcompact car (project 327) next month while the new generation of the Palio range (project 326) arrives late this year. The Palio and Uno rank No. 2 and No. 3 respectively in Brazil car sales. The new Uno is only for Latin America while the new range of Palio models could be built elsewhere. Fiat plans to make the next-generation Linea subcompact sedan at its new, $630 million greenfield plant with Guangzhou Automobile in Fanyu, southern China. The plant is under construction and should be ready to start producing cars in late 2011. It is possible that Chrysler sedans and Jeep SUVs will be added to take the plant to its capacity of 220,000 units a year. 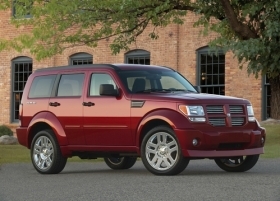 The Dodge Nitro (shown) will be sold in Europe as a Fiat by the end of the year. Dodge will continue to sell its large rear-wheel Charger sedan and Challenger coupe in Europe under Fiat management. The same will be true for future version of the Viper sports car. 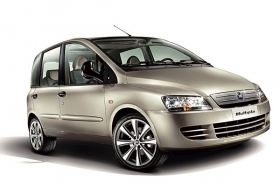 Front-wheel-drive models such as the Caliber and Avenger will be withdrawn from Europe. In Europe, the Nitro large SUV will become a Fiat-brand model by the end of the year. The Journey crossover will be rebadged as a Fiat starting in spring 2011. The Fiat Multipla (shown) will be replaced by a new minivan, code-named L0, that will be built in Italy. Fiat is likely to announce that a Fiat-badged new small minivan will be sold in the United States. Insiders say that the new model, which is code-named L0, has a Fiat 500-inspired front end and side. The minivan will be produced instead of the long-wheelbase version of the 500 known as the Giardiniera. The Giardiniera project was delayed several times and finally killed last year. Fiat will build two variants of the small minivan at its Mirafiori factory in Turin. The five-seat version replaces the Idea small minivan while the seven-seat variant succeeds the Multipla medium minivan. Both versions will be offered in Europe. It is likely that only the five-seat variant will be exported to North America, where it would complement the Fiat 500 range, which will include hatchback, cabriolet and high-performance Abarth models built in Mexico. Other Fiat models that will be crucial to the five-year plan are the next Grande Punto/Punto Evo subcompact due in 2012 and Bravo compact hatchback due in 2013. Soon after the strategic plan is presented, Fiat is expected to sign an agreement with its Italian unions to introduce an 18-shift workweek at its plant of Pomigliano d'Arco, southern Italy. The agreement takes effect in late 2011 when production of the Panda minicar moves to Italy from Fiat's factory in Tychy, Poland. The Panda had been Europe's best-selling minicar since 2004. Fiat is evaluating a low-cost model for the Indian market. The car could be built in the joint-venture plant Fiat has with Tata Motors Ltd in Ranjangaon, in the Maharashtra state. Fiat has requests from India, Brazil and eastern Europe to produce low-cost models. The automaker is looking for use the information to coordinate a single, global project to optimize investments and scale. On April 21, Olivier Francois will outline how the Lancia and Chrysler brands will integrate their product portfolios in Europe. Francois is CEO of both automakers. Earlier this year it appeared as though Lancias would be sold only in Italy while the rest of Europe would get Chrysler-badged Lancias. 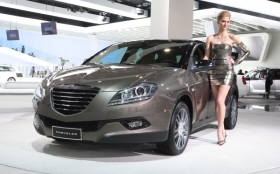 Now company insiders say that the Lancia name will continue to appear throughout most of Europe on the Ypsilon subcompact, Musa small minivan and Delta compact hatchback. They said that Chrysler name will appear throughout most of Europe on models such as the replacement for the Chrysler Sebring mid-sized sedan and cabriolet, 300C large sedan and Voyager large minivan. There could be two exceptions. 1. Italy – Cars from both brands are likely to wear the Lancia badge here because the country accounts for almost 90 percent of Lancia's global sales. 2. The UK – Cars from both brands may wear the Chrysler badge here because Lancia is not present in the market. Magna Steyr will stop making the Jeep Commander at its plant in Austria by the middle of the year. The Jeep brand will continue to offer its entire range of products in Europe. Austrian contract manufacturer Magna Steyr will stop making the Jeep Grand Cherokee and Commander at its plant in Graz, Austria, by the middle of this year. The new Grand Cherokee, which makes its U.S. debut in June, will be shipped to Europe starting early next year. The Commander will not be replaced. Fiat is set to announce that it also will fit its fuel-saving, emissions-reducing MultiAir engine technology on diesels. MultiAir is a Fiat-patented electro-hydraulic valve actuation system that increases power and reduces emissions by about 10 percent on the company's gasoline engines. Fiat will use the MultiAir technology to reduce oxides of nitrogen (NOx) emissions from diesels, which is a crucial part of meeting Euro 6 standards that take effect in 2015. The first MultiAir diesel is expected to be the 1.6-liter unit currently used in models such as the Alfa MiTo, Fiat Bravo and Lancia Delta. 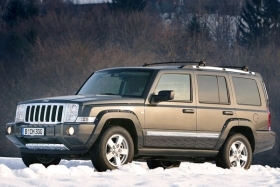 Chrysler Group will add MultiAir on its gasoline engines in late 2011. Fiat announced its big expansions plans for Russia in February but has not identified the nine models it plans building in Naberezhnye Chelny, which is about 1,000km east of Moscow. Nikolai Sobolev, a Sollers vice president, said the venture will build about 150,000 Jeeps a year, possibly the Patriot, Liberty, Wrangler and Grand Cherokee models. Fiat declined to confirm or deny Sobolev's comments. The remaining 350,000 units a year are expected to be Fiat passenger cars such as the replacements for the Linea subcompact sedan and Bravo hatchback and sedan as well as a larger Chrysler-based mid-sized sedan. In April 2008, Fiat bought a 67 percent stake in Serbia's only automaker, Zastava Automobili, which is best known for having produced a low-cost, Fiat 127-based model called the Yugo. Zastava's operations have been consolidated into the newly formed Fiat Automobili Srbjia. Fiat will invest 700 million euros in the joint venture with the Serbian government. The aim is to build 200,000 units a year at Zastava's former plant in Kragujevac. There is an option to boost the plant's output to 300,000 at a later date. It is likely that the first new model that will be built at the plant is a subcompact sedan to replace the Fiat Linea. The sedan, which is code-named project 342, is set to be sold in central and eastern Europe following its debut in late 2011. The new sedan could be exported to the United States as a Chrysler model. The strategic plan Marchionne introduced for the U.S. automaker in November 2009 included a Fiat-build model for the Chrysler brand. The car is currently known as the B-car and is due to launch in 2013. Western Europe is likely to get the second Serbia-built model: a subcompact hatchback derived from the new sedan. At 3850mm long, the hatchback would fit in between the Panda small car (3540mm) and the Grande Punto/Punto Evo (4065mm). The new hatchback also could be built in India. Most of the cars made in Serbia will be exported to Europe and Russia. An advantage of service Russia from Serbia is that the country has a free-trade agreement with Russia.